We all know that Fall equals Pumpkin Spice Season. 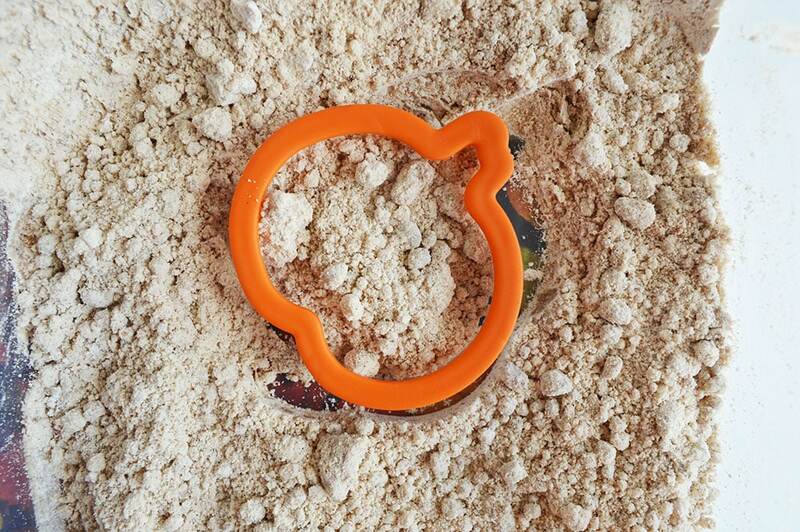 So why not enjoy the season with some pumpkin pie moon sand. Moon sand can act like regular sand, but is slightly wet so it can hold it’s shape if you mold it. It’s also referred to as kinetic sand or magic sand, if you’ve heard of those terms instead. 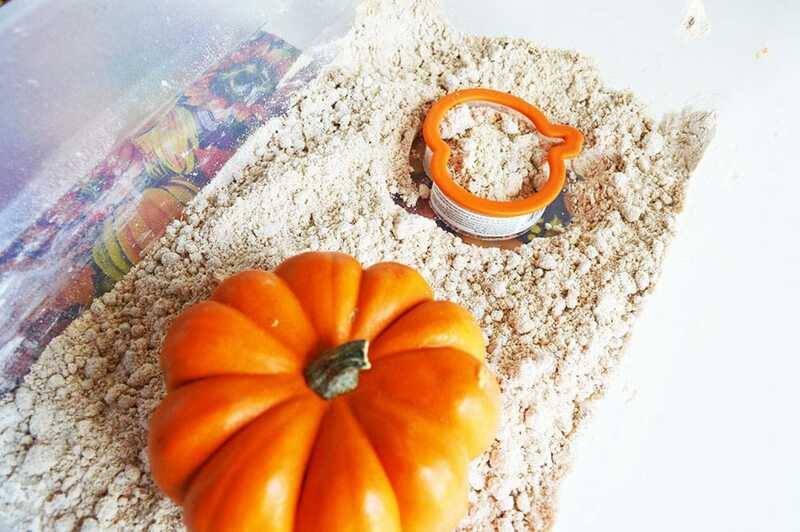 It’s great for a sensory play activity to make different shapes, such as pumpkins, with cookie cutters or whatever you happen to have on hand. 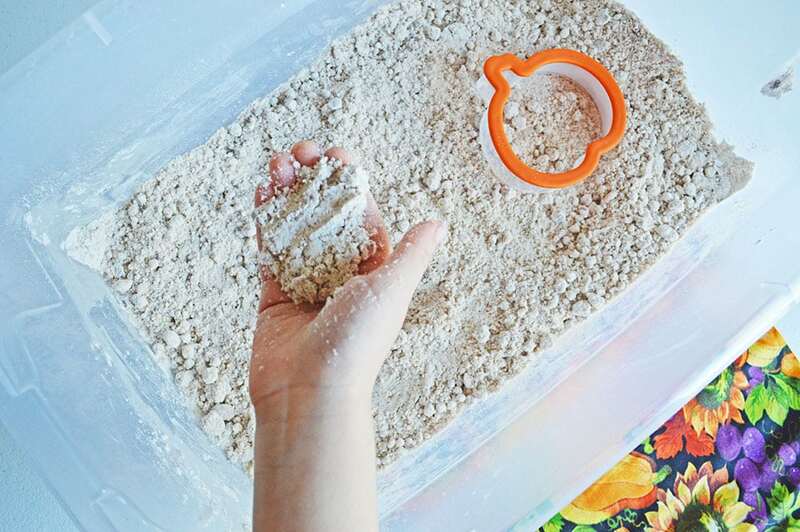 Add dry ingredients to large plastic tub (double this recipe for deeper sand!). Stir well, and mix the sand with your hands. You’ll have some clumping, that’s okay- it is still fun for playing! Set your little ones free with measuring cups, spoons, and fun Fall accessories. 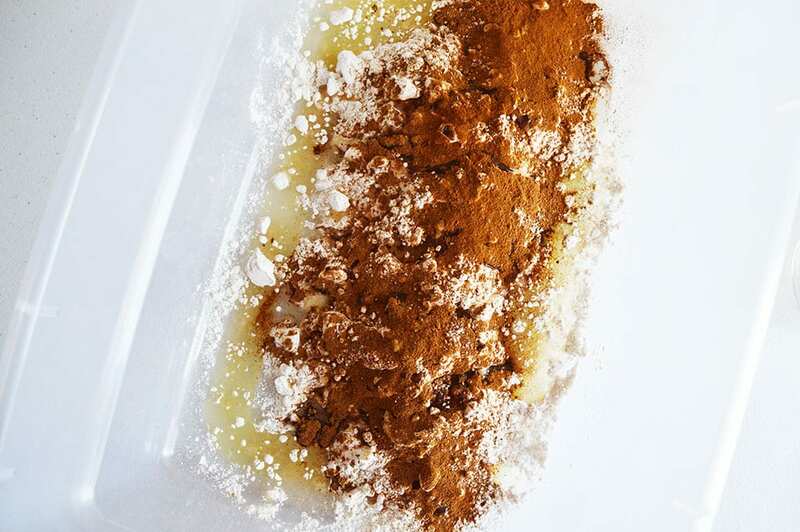 This is a MESSY activity- I recommend outside or in the kitchen floor where it can easily be swept. 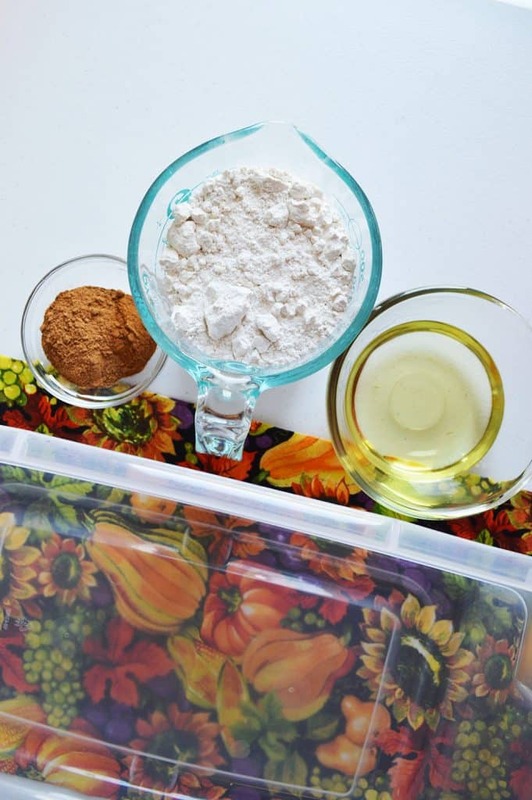 All of the ingredients are edible, which means you don’t have to worry if some of the pumpkin pie moon sand ends up in their mouth since it smells so good.